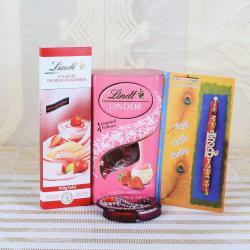 Product Consist: Lindt Amarena-Kirsch Chocolate (Weight: 100 gms), Lindt Heldelbeer-Vanille Chocolate (Weight: 100 gms), Designer Traditional Rakhi along with Roli Chawal Container. 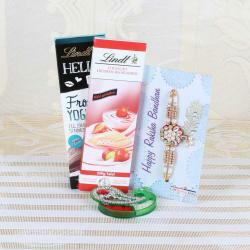 This gift is best one for the auspicious occasion of Raksha Bandhan. 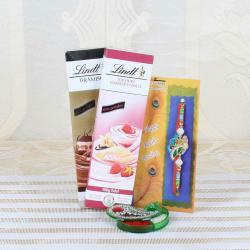 If you want to celebrate this year, then select this Lindt Chocolates with Traditional Rakhi. It adds joy, fun, and excitement of the Rakhi festival. 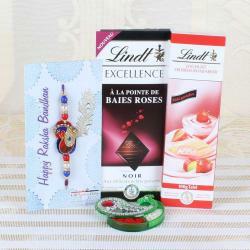 Gifting rakhi with chocolates to your brother gives amazing taste to the person. It will be packed with dark chocolate and designed with elegant design to look more beautiful. Chocolate is one of the perfect options to express your feelings of love to your brother. It is a simple and best idea to make the day different from other days. 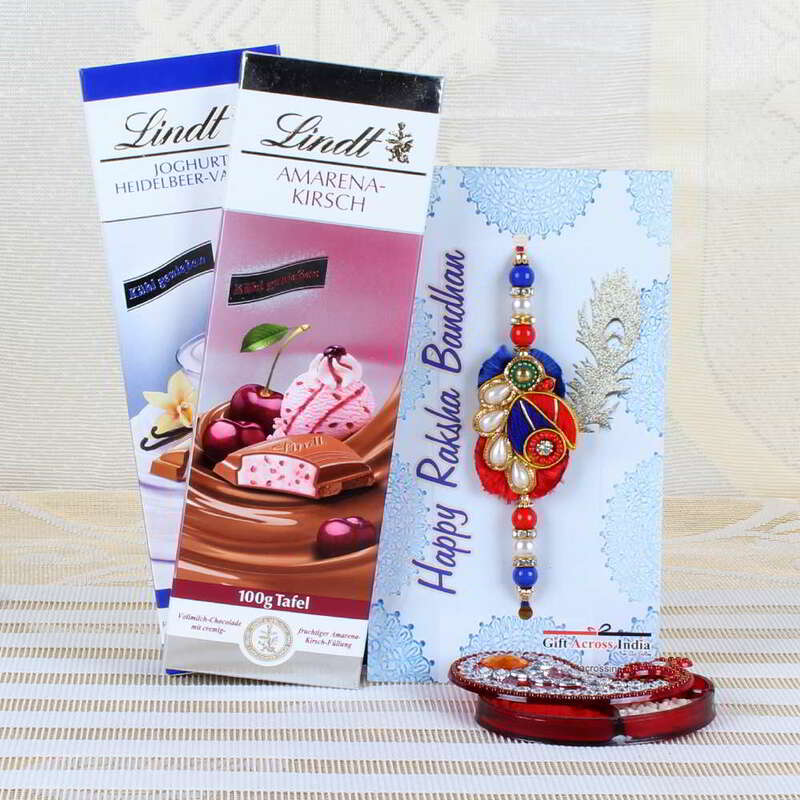 Product Consists of: Lindt Amarena-Kirsch Chocolate (Weight: 100 gms), Lindt Heldelbeer-Vanille Chocolate (Weight: 100 gms), Designer Traditional Rakhi along with Roli Chawal Container.